We invite you to browse our web site to learn about our various County offices and the services York County, Nebraska offers its citizens. ​This web site contains information about County programs, services, departments and offices, as well as helpful information on commonly asked questions. Oversees all County funds and County business. Manages all County roads and right-of-ways and maintains a comprehensive One and Six Year Road Program. Examines all accounts, receipts and expenditures. Created our Planning Commission to make, adopt, amend, extend and implement our Comprehensive Development Plan and adopted our zoning rules and regulations. Annually levies and collects taxes. Provides suitable courthouse, jail and other necessary County buildings. Has the power to sell, convey, exchange or lease any real or personal estate owned by the County and is involved in all County real estate transactions. How many Commissioners are on the York County Board? York County has five Commissioners with each one representing a different district in the County. How long does each York County Commissioner serve? 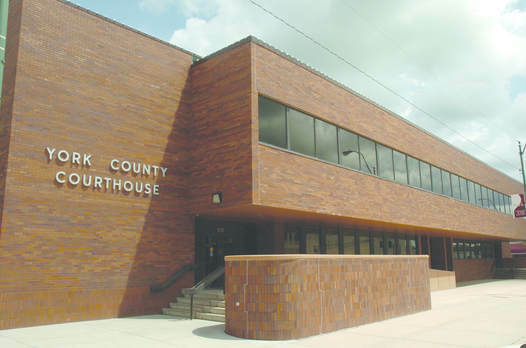 County Commissioners serve four-year terms. Are York County Commissioners elected or appointed? County Commissioners are elected. When a Commissioner is unable to complete his or her term, a committee made up of the County Attorney, County Clerk and County Treasurer appoint a successor. How often do the County Commissioners meet? The York County Commissioners meet in the lower level of the Courthouse every other Tuesday.